A.R. 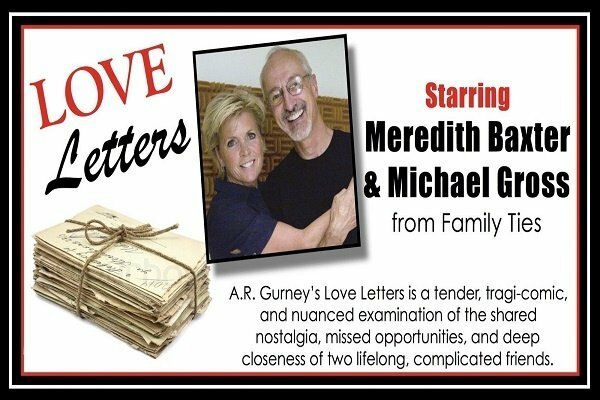 Gurney’s Love Letters starring Meredith Baxter & Michael Gross, the couple we all know and love from Family Ties, is coming to the Rehoboth Beach Convention Center Thursday February 14th. Love Letters is a tender, tragi-comic and nuanced examination of the shared nostalgia, missed opportunities and deep closeness of two lifelong, complicated friends. Love Letters is a two-character love story that is alternately funny, poignant and touching. Celebrate Valentine’s Day at the beach! If you love love (and laughter) you’ll love Love Letters!